The Apple TV was jailbroken with the latest untethered Seas0nPass jailbreak, making it possible for the developers to rewrite the software at the root level. This hack is incredible because the iOS SpringBoard had to be rewritten from scratch for the Apple TV, effectively creating a new app launcher environment. 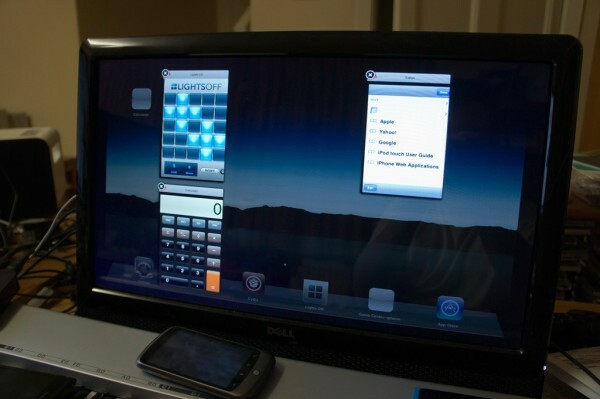 Troughton-Smith told Cult of Mac that it’s “a window manager without being a Home screen,” meaning that he can write and tailor his custom Home screen and UI. 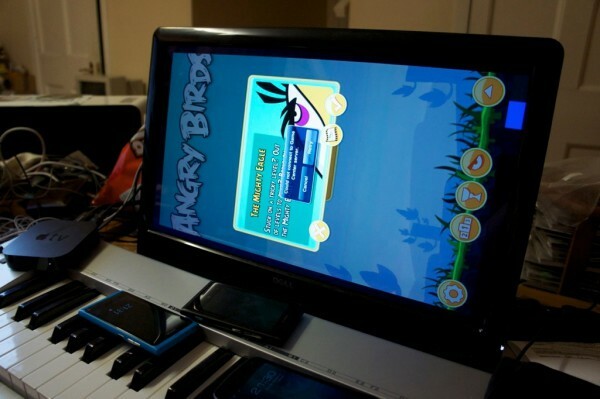 The SpringBoard was rewritten using only QuartzCore. 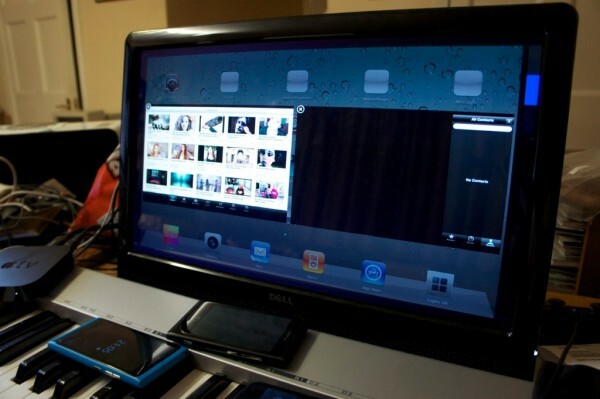 Another major breakthrough is that Troughton-Smith has been able to make side-by-side iOS apps possible on the Apple TV, meaning that one could have multiple apps open at once. 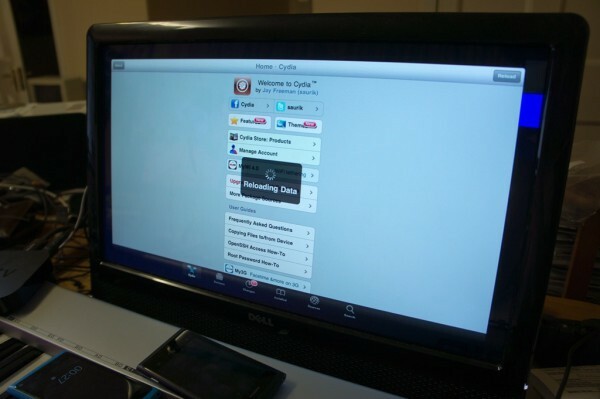 Imagine a Mission Control-like view of Twitter, Facebook, and more on your giant flatscreen. Troughton-Smith told Cult of Mac that he has run 6-9 apps at once already. He noted that “lighter” apps work well, but many apps running at once can cause the Apple TV to crash. Apple’s current set-top box only has 256MB of RAM. Fullscreen iOS apps have also been run by Troughton-Smith on the Apple TV at the set-top box’s 720p HD resolution. Interestingly, the Apple TV can run a myriad of resolutions like a regular computer, but not 1080p HD. It’s been rumored that the next Apple TV will offer full HD output. While the videos and photos serve as proof that advancements are being made, Troughton-Smith told Cult of Mac that any sort of public release is “a long way off.” He said that “there’s way to much to do first,” noting that he still needs to find a method of input that works well for public distribution. Troughton-Smith told Cult of Mac that “the goal is to allow someone to write an app that supports the Apple TV that would even get approved on the App Store.” He said that the app would have to support Apple’s IR remote and that there would have to be a cursor for navigating. But that’s not even why he’s working on the hack. 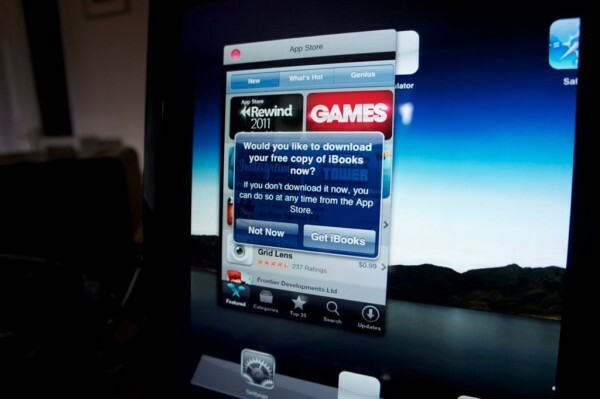 Download iBooks on the Apple TV?